We have celebrated our 40th birthday. Every year, with much pomp and ceremony, we hoist the national flag, visit the graves of the freedom fighters, reflect and sing praises of their good deeds, and publish scores of tributes in the national dailies, but only for a day. Then we expend the rest of the year dishonouring their courage and intent. Each year rich countries provide us aid to help build our infrastructure, but most of the money is siphoned-off by gluttonous fat cats who deposit the money with overseas bank accounts. We have made corruption into a national sport and produced more star players than most other corrupt countries combined. Our traffic management is in a total mess and a living nightmare. A distance that once took 10-minutes now can take an hour, if not more. Our politicians appear to be inept and it is a wonder how they have managed to retain their jobs. In a commercial business organisation, they would have been sacked for their incompetence long ago. Our education system is equally deplorable, yet it is the one area in which there has been a slight improvement. Despite a law prohibiting corporal punishment in schools, it still continues. Forty-year-old and we do not seem to be able to get anything right. We're not even making the effort. 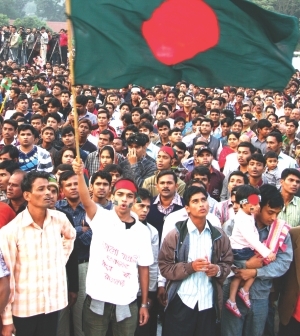 I wonder what all those heroes who gave their lives for Bangladesh in 1971 would have done had they seen this future. It's time that the asinine games between the political parties stopped and people's welfare is given serious consideration. Congratulations to The Star for an innovative issue. It gave me a sense of pride reading about the 40 achievements of our country; often we are so stuck on complaining about the miserable state of our country, we forget that we have accomplished so much since our independence. 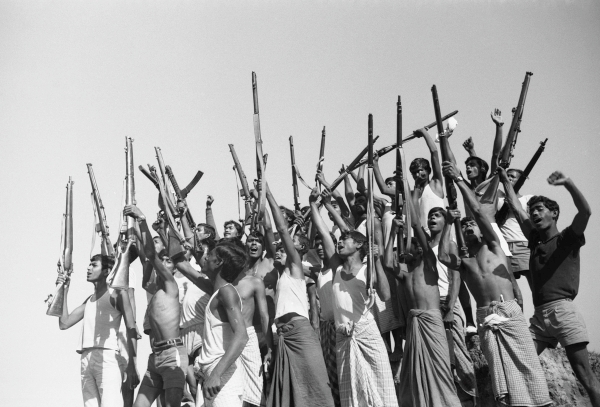 I was surprised that I didn't even know about some of the things that Bangladesh has done over the years (for instance, I had no idea that SAARC was our brainchild or that our photographers had won so many international awards and accolades!) But what I enjoyed the most were the stories of 1971 submitted by the readers. They were touching and informative. I think it was a really good idea for the STAR to ask for contribution from its readers and they should make it a point to include the reader's voice in future special and regular issues as well. Even though I like the feature writers of the magazine, it would be nice to read the opinions of some laymen such as ourselves. Thanks to The Star magazine team for the special issue on December 16, 2011. It is a wonder how you have come up with 40 achievements, when I do not see any around me. I cannot help but appreciate the optimism of the Star team. Focusing on the positive aspects of the different issues and sectors of our economy, you have in fact sent a message to our countrymen that we need to keep our hopes high against all odds. Your issue was a refreshing piece, a short relief from the constant complaints and discontents that we harbour in our mind about our country. You did however fail to mention many of the great men and women whose individual work and expertise in different fields have bought fame for the country. You also did not mention the contribution of the non-resident Bangladeshis. 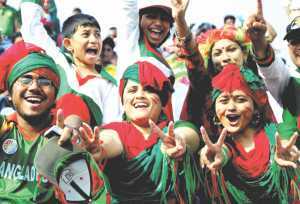 Although they live abroad, their love for their motherland is no less than those who toil their sweat within the borders of Bangladesh. I hope that you will mention them in some other issues. The Star magazine's 'Bangladesh at 40' issue sparked quite some debate within my family. While they argued over the state of our economy and women's empowerment, I flicked to the back, where I found the liberation war stories written by readers. Considering how we now mark the liberation war by celebrating, human stories, like the ones in your magazine, reminded me of the unnatural human loss families suffered. The battle scene depicted by Shahzaman Majumdar was something I'm only used to seeing in World War movies. He makes the interesting distinction between the men on the battlefields and the men who'd just pick up abandoned Pakistani guns. But regardless of who the real freedom fighter is, every soldier is human and to be told the loss of a mother and brother while sitting at traffic lights is not only sad but also insensitive. I hope he has since been able to mourn the loss of his loved ones and thank him for the courage he showed which has helped to give us a free nation.